CBET 3069 and M.P.E.C. 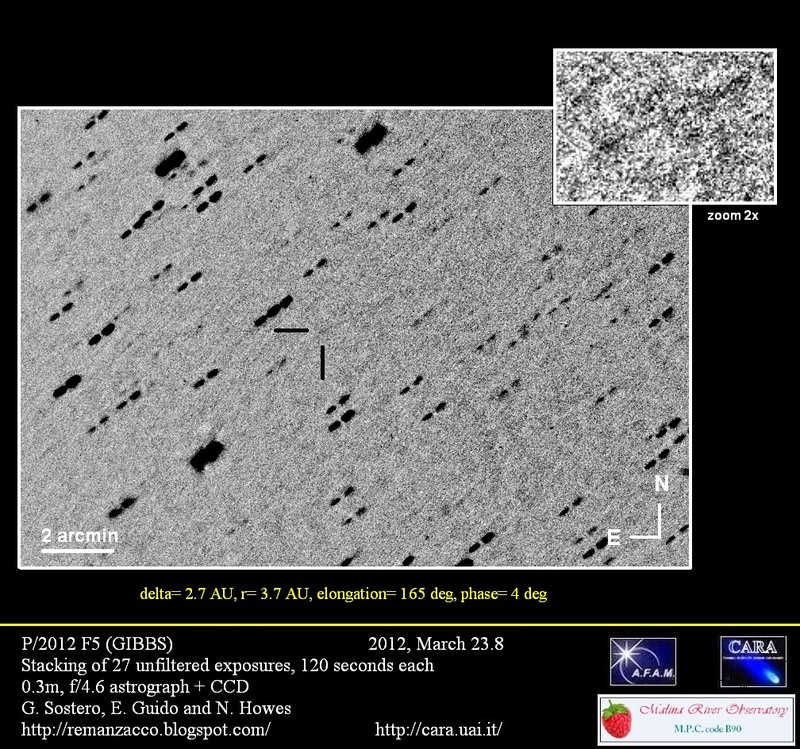 2012-F87, issued on 2012, March 25, announced the discovery of a periodic comet by A. R. Gibbs on Mar. 22.8, through the Mount Lemmon 1.5-m reflector. On his images, Gibbs, found a stellar coma and a long, narrow tail about 7'.4 long in p.a. 292.5 deg. The new object has been designated P/2012 F5 (GIBBS) by the Minor Planet Center.